I’ve been toying around with the idea of trying out NatureBox for awhile. I see ads in my Facebook newsfeed. I’ve read stories in magazines. I had previously tried out Goodies box, another food subscription box, and was not impressed. It wasn’t until one of my coworkers handed me a delicious bag of NatureBox trail mix that I decided to take the plunge. This purchase was also spurned by the need to have some healthy snacks available in my office. Right now the snacks that are offered to us are very heavy on the Doritos and Cheetos variety, which are delicious, but not exactly what I want to eat when I am trying to eat better. 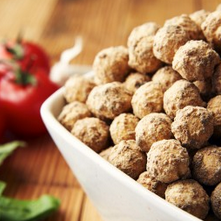 For those of you who don’t know, NatureBox has a collection of healthy snacks that are nutritionist approved. They are made with natural ingredients and very little fillers or extra additives, which I like. You get five snacks a month, and you can either choose which ones you want or let them choose for you. It’s $20 per box, which at first seemed a tad high to me, but the bags of snacks are a decent size so you actually get a good amount of product. As a control freak, I chose each of my snacks in my first box. They have quite the lengthy list of choices so it took my quite a bit of time to choose (not joking). They have a decent amount of salty and sweet snacks (but too many granolas if you ask me). Here’s what I got and what I think about them. 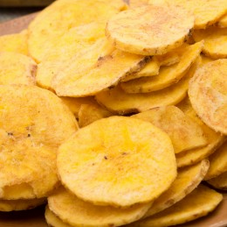 I have to start with my favorite: the plantain chips. Man, these are delicious. I love eating them with chips and salsa. I saw plantain chips at Trader Joe’s the last time I was there so I’d be interested to see how these compare. My next favorite are the Dark Cocoa Nom Noms. 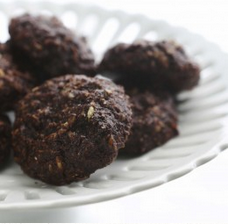 They are little chocolate oat cookies which are just the right about of sweet. A nice little sweet treat. I have mixed feelings on the Sea Salt Pop Pops. Upon first taste they were rather bland, but the second time I ate some, they were much better. The popcorn is like partially popped which is kinda weird, but also kinda interesting. I was pretty excited to try these Bruschetta Pretzel Pops, and was sorely disappointed. They tasted like pizza, which some people might like, but I didn’t get any of the pretzel flavor I was going for. However, I brought these in to work and they went over quite well with some of my co-workers. The last two snacks I got I don’t have pictures for because one of them isn’t on the site for some reason and the other appears to have sold out. They threw in an extra snack with my first order — poppyseed sticks. These were pretty standard in terms of poppyseed sticks I’ve had in the past. The one that is sold out is the Taj Mahal Snack mix and that stuff is MONEY. Trail mix with curry-esque spice mix. Mmmm. So good. It saddens me that they don’t have it anymore. So will I continue to get the NatureBox? Probably. At least for the time being. It all depends on how often they change up their snacks in terms of variety. Part of the fun is trying out new things and if they don’t change around the stock, it sort of defeats the purpose. 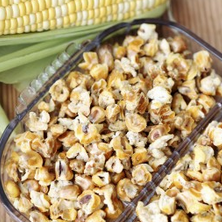 But I already have half the snacks in my July box picked out and am pretty excited about it. I finally conquered shrimp on the grill. It’s not like it was too hard. I learned my lesson from my last foray and marinated the shrimp ahead of time. All it took was a few ingredients, an hour of marinating time, a few minutes on the grill and there was a delicious dinner to be had. 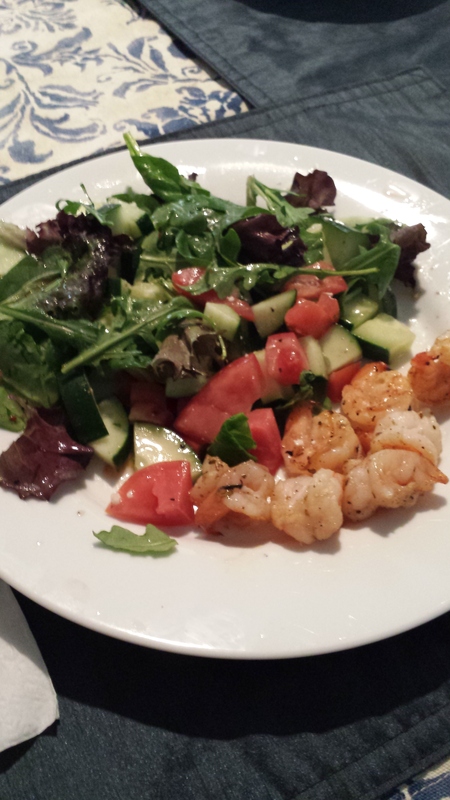 Eric put his shrimp atop a salad, I had mine on the side. But they were delicious. A perfect, easy and quick dinner for those warm summer nights. 1) Mix all the ingredients together in a container. Place shrimp in mixture and place in the fridge for at least an hour. 2) Remove shrimp from marinade and place on skewers (we used metal ones, but bamboo ones will also work if they are soaked in water beforehand). 3) Preheat grill to about 500 degrees (or medium-high heat). Oil the grates a little. Place skewers on grill. Cook for about three minutes on both sides, or until the shrimp turn pink and begin to curl.